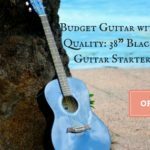 Whether you are a beginner or a pro, have the best guitar for beginner or pro, when it comes to strings everyone could do with little tips to make their instrument sound better than the last time. 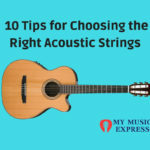 So here are the top 10 tips for choosing the right acoustic strings. Obvious and that’s why it’s at number one. Take a look at the instrument and determine the kind of strings needed- classical nylon, electric or acoustic steel. These are rarely interchangeable as it could damage the instrument. Next, check the bridge to see if the guitar has ball end strings attached or the ones which tie at the end. The material used can affect the longevity and sound fine. They are found in bronze, phosphor bronze, brass and steel, and silk strings. For nylon ones, tension must also be considered. Coated strings last longer, but they sustain less and are a not that bright. But there are strings which are cryogenically frozen and that doesn’t diminish the sustain or tone while lengthening the lifespan. 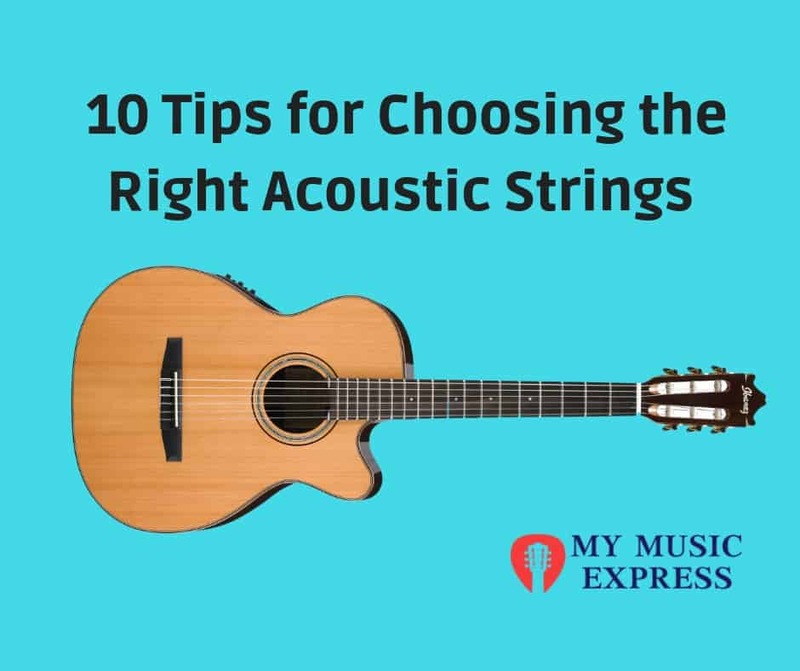 The frequency of changing the strings matters and so if you are playing regularly then changing per week would be ideal, but if you play occasionally then changing once it twice a month would be good. 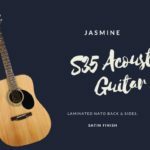 Strings are available in various prices, but generally, the coated strings are the most expensive, while the bronze strings are the least expensive. Tip: You can get good deals if you purchase in bulk. There are some types of packaging, which is meant to keep it fresh, rust free and more eco-friendly. While it’s uncomfortable to stick with the same set of strings, but some alternatives can be tried. This should be done if you haven’t used anything very new for a good while. 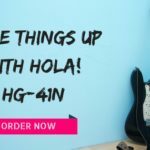 Classical guitar strings are found in various tensions- low tensions which are easier to play and normal or medium ones are consistent with tone. Try a few out first. Strings come in a large variety and the gauge to determine it is to see the diameter of the string. 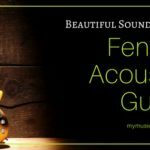 It can change the sound and how the guitar feels when you play. Lighter gauge strings are better and easier to play, but it breaks more easily. Beefier ones can be louder and hard to break. Body size: If you have a small guitar then it will feel and sound better with lighter ones, but for jumbo ones, having a medium gauge will make it sound better. Tone: Heavy gauge ones emphasize the guitar’s lower end tonal spectrum while lighter ones are sweeter. Playing style: Light gauge ones are easy on the fingertips so if you are a heavy strummer then go for heavier strings. If you both fingerpick and strum, then try a medium set with heavy on the bottom and light on the top. Instrument age: Vintage guitars should be handled with care and so it would be better to not use heavy strings on it. 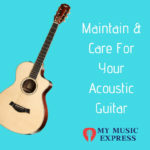 Guitars are resilient, but they should be handled with care so as to ensure that they keep their prime shape for years. 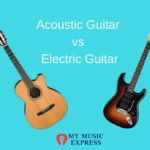 Previous Post:What Are the Best Acoustic Guitar Strings For Beginners?